Robert was born 5 November 1882* in Clondra, the son of a tailor. He worked as a general labourer prior to the Great War, but it is likely that he had moved to England after 1901, and lived in Manchester. In 1912, Robert married Mary J. Kelly** from Manchester, in Salford - they had three daughters together. 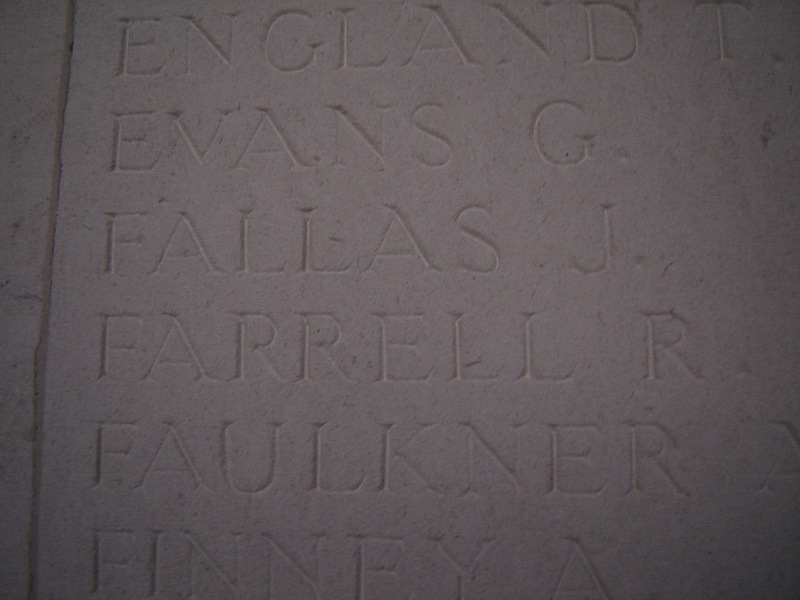 Pte Farrell enlisted in Manchester, but had been attached to the Lincolnshire Regiment before joining the 20th (5th City Pals) Battalion of the Manchester Regiment. During the war, Robert likely took part in the major engagements of the Battle of the Somme, the Third Battle of Ypres and at the Hindenburg Line. Robert was likely killed in action during the failed attack on the villages of Beaurevior and Ponchaux during the Battle of the Beaurevoir Line, along with the 9th Devonshire Regiment and the 5th Australian Brigade. This was an action of the Battle of the San Quentin Canal (near Cambrai) - 94 men from the Battalion had been taken prisoner on the 4 October; he is commemorated on the Vis-en-Artois Memorial, which is located between the towns of Cabrai and Arras. Son of Joseph Farrell and Anne (née Guthrie/Guttery), Aghnagore, Clondra. *Likely accurate birth and family details provided below. **Many thanks to Robert's great-nephew Joseph Murphy for his assistance. 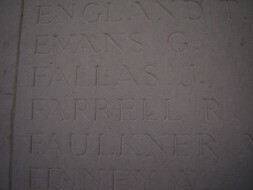 Note that Mrs. Farrell remarried a Patrick Brennan, and they also had children together. *** Two brothers from Co. Longford Robert and Joseph Farrell, who were about the right ages, were living as lodgers with the Killian family, also from Co. Longford.